While a recent World Bank report (click HERE) is all praise for the Bus Rapid Transport System (BRTS) of Ahmedabad for its ability to “shift” nearly 22 per cent of the motorbike users to the transport facility in Gujarat’s business capital, created in 2007, a spot study – carried out on the basis of primary survey about two years ago – has said it has failed to give a helping hand to the poor. 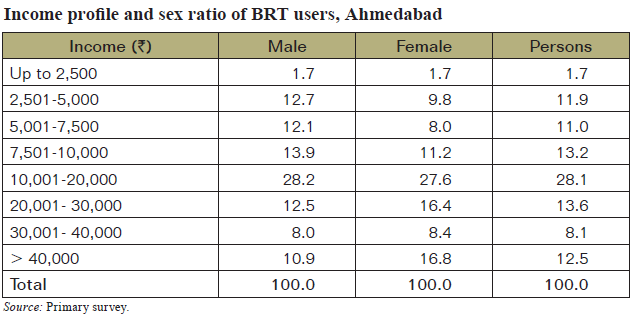 While pointing out that half of those who used BRTS walked to get the bus, and 76 per cent of them lived within half a kilometre of the BRTS station, and another 23 per cent lived within half to one kilometre of the BRTS station, the study says, the primary survey found that “no one is cycling to the BRTS station”. Even these tracks, it says, nothing was not obstruction free. 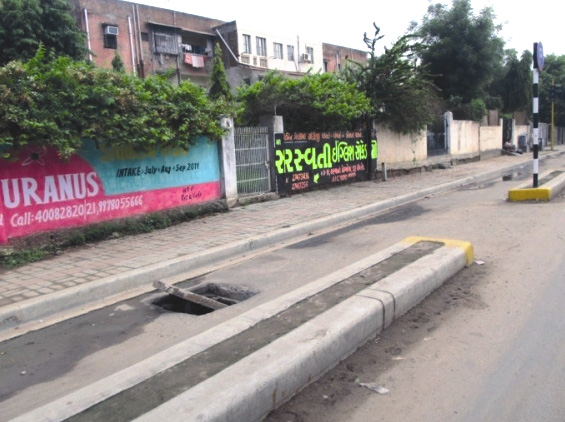 Of the available bicycle tracks, “35 per cent were obstructed due to various reasons like unauthorised parking, open manholes, rainwater drainage, electricity poles, etc.” And at one spot, next to the high profile Indian Space Research Organisation’s (ISRO) campus, “the excuse of ‘lack of space’ and ‘security concerns” led to cancellation of the bicycle track. 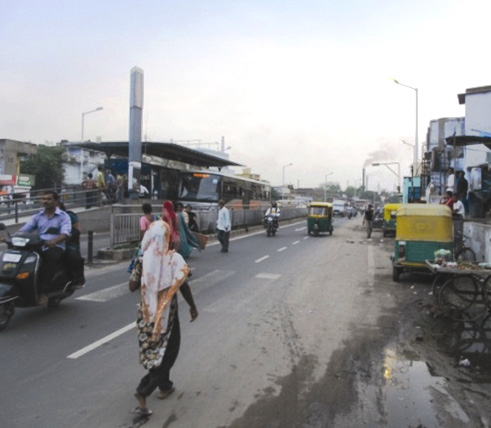 Pointing out that because of its high costs, the BRTS is not being used by the lower income groups, the survey shows that 48 to 50 per cent of the slum-dwellers walk down to their work, 14 to 17 per cent use cycles (mostly males), nine to 12 per cent use the traditional municipal buses (AMTS) because they are cheaper, 14 to 16 per cent use shared auto-rickshaws, just less than 1 per cent use BRTS.